The 2009 Laramie Enduro is almost here sports fans and there is an uncomfortable silence in the air...so I thought I would break that silence with a little pre-race trash talk. The "who's who" of the Jackson cycling community are registered for this year's edition of the LE but who will rise to the top? Many questions will be answered this weekend in Laramie. Will JayP and T-Race shock the world on the Love Shack? Will my Cream Puff traveling mates form an alliance and try to soften me up with frequent early attacks? Will Little TK surprise us all and show up unexpectedly...with a helicopter standing by since his wife could go into labor at any minute? Well, to my competitors this Saturday, I will leave you with this: As you approach Aid #4 and your legs are on the verge of cramping, your lower back is seizing up, your lips are parched from a combination of altitude and hot wind, your drivetrain is making a strange creaking sound, and you think you are seeing Tiny Elvis behind clumps of sage brush, don't worry because the hardest 2+ hours of the race are still in front of you. Did you leave a little in the tank? Michelle and I rode the entire loop of the Pierre's Hole 50/100 Race course Sunday and I think it is going to make for a great race. I tore a hole in my rear Nano when we hit the Rick's Basin singletrack so I had to back track to fix it and therefore wasn't able to capture a perfect GPX file. However, Michelle's Polar 720i read 24.5 miles and 3,900' feet of climbing when we were done. This elevation is nearly identical to what I get when I draw the route in Topofusion. - The new piece of singletrack off of Lot #5 (old road) at Targhee is going to be sweet! - The initial double track descent could cause some carnage if you are not paying attention. There are some HUGE water bars and loose rocks lurking there. - The double track climb back up to pavement is gorgeous and a rideable grade except for about 50' of rudeness. 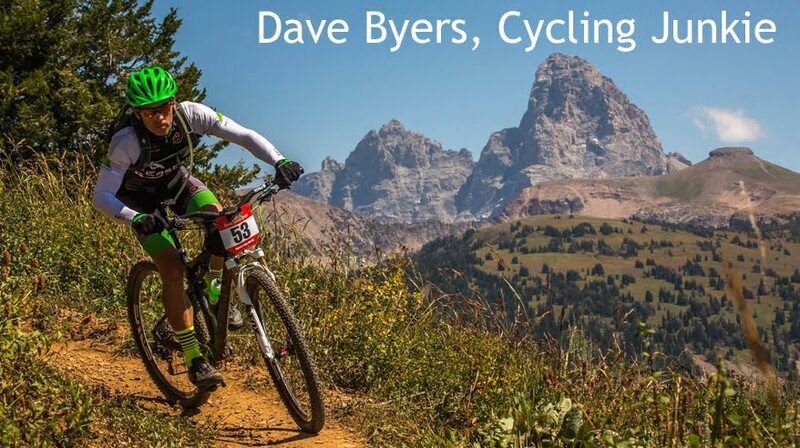 - Riding the sweet Targhee singletrack in the opposite direction to the WYDAHO and 24 Hour race is a nice change. - There is 5.1 miles of climbing on pavement (Ski Hill Rd) per lap and it will be a welcome respite for many. I got spanked and that is my report. Ha! Despite not feeling great due to overall fatigue from the previous week, I am glad that I raced. The technical, twisty, rooty, and rocky course at Teton Village is unlike anything I have ever raced and getting practice at race speed in terrain like that was good for me. Plus, most of my stone-cold Jackson homies were there and it is always good to race with them. To keep up with the latest, check out www.victorvelo.com. - Designs for the bike park are in the works and build dates in July 2009 are finalized. A small group of us have been passionately pursuing a vision to bring a bike park to Victor Idaho and this weekend our dream became a reality. There is a great story to tell when I have more time but I had to share the stoke because I am so proud to be a part of this. I have only ridden once since the Cream Puff but in the big picture, these four and half days are far more important. One more full day to go tomorrow! Any long trip to a race with friends and teammates produces memorable moments and this year’s Puff was no exception. In fact, I think the “road trip” portion of this adventure deserves its own post so I am going to simply write about my race for now. I have thought about the 2008 Cream Puff for the last year and was very motivated to improve on last year’s performance. I had a solid race last year but there were many areas I knew could be improved upon and I know that I finished with a little too much left in the tank. Simply keeping the rubber side down while descending this year would help a ton! With a start date two weeks later for 2009, I had some extra time to work on my singletrack skillz at race speed before the 2009 Puff and I think this paid off. Dave Saurman and I had a perfect pre-ride along the N Fork River Trail on Saturday after a leisurely morning in Oakridge, OR that included an awesome breakfast and lots of coffee at the Trailhead Café. We got a little taste of local singletrack and opened the legs up a bit for race day. Riding for about an hour and ten minutes was just enough and left us plenty of time to casually prep the bikes and organize our gear for the next day. The pre-ride also convinced me to run a knobbier tire, a Maxxis Ignitor instead of a Stans Raven 2.2, on the rear for a little more braking control. Not that I was sleeping that soundly anyway, but the 3:30am wake-up was rude. Coffee, my usual plain bagel with peanut butter, more coffee, load the bikes, and we were off to the Westfir School where the neutral rollout would begin the race. As we unloaded the bikes and settled into out pre-race routines a mist began to fall and it was not exactly warm out so I added a vest and arm warmers to my kit. At the last minute, I handed Will my rain shell since he would be hanging out at Aid #2 most of the day and I am glad I did. Lastly, a nice layer of Mad Alchemy Cold Weather Embrocation (med heat) was applied to the legs and I was race-ready. The race stayed at a reasonable pace when we hit the famous red covered bridge in Westfir and the neutral rollout turned into “Go”. The pavement at the beginning of this race helps to calm everything down and sort things out a bit before the initial gravel climb which has tons of room for passing as well. As I settled into my pre-determined pace I was passed by a few folks who had a higher sense of urgency than I did on the opening climb and at one point I questioned whether I was being too conservative. When my teammates Dave and Hamilton each passed me only halfway into the climb I wanted to go with them but I stuck to my plan and happily turned over my middle ring at a comfortable cadence and watched them ride off. After cresting the initial climb in an hour and ten minutes, the real riding began and I have to admit I was a bit anxious. Last year I crashed at least four times on the initial long descent to Aid #3 and I was focused on riding this section well this time instead of losing my nerve and riding like a sissy-boy. To add to the anxiety, the drizzle that had been falling since early morning had left the trail greasy in places and some downhill switchbacks were very sketchy. My mantra was “look through the corner and stay off the front brake”…repeat a hundred times. When I could, I was taking mental snapshots of the incredible scenery around me…giant Douglas Firs, ferns, and a dark, loamy ribbon in the mist lined by every shade of green imaginable. Greatness. I love the middle section of the Cream Puff with its back to back 18 mile climbs. I brought my iPod Shuffle specifically for these two often-lonely climbs and rocked out when I was alone. I rev’d up my genetically-challenged engine to its upper cruising limit and held it there for a long, long time during these climbs and tried to pick off riders in the distance for internal motivation. Oh yeah, I sang out loud a bit too. As far as low moments go, my low moment at the top of the second 18-mile climb ranked about 5 out of 10. I have had much worse. No thoughts of quitting, or stopping, or standing next to the inviting campfire that was burning at Aid #2 entered my head. I simply needed to do a little damage control. The drizzle had soaked through everything I had on, my hands weren’t working, and basic tasks were a little challenging. I found Will, who generously volunteered to support four of us, and grabbed my Mont Bell rain shell which would stay on for the remainder of the day. Once the climate inside the shell warmed up I was good to go and the dexterity returned to my hands. A little caffeine didn’t hurt either. Ha! When I rolled into Aid #3 for the second time and saw Dave standing there mowing down some calories I knew it was “on”. From that moment on, Dave Saurman and I were locked in an unspoken battle for the remainder of the day. We have raced together a bunch and I have only beaten him one other time and I really wanted to beat him on this day. I have tons of respect for Dave so beating him would simply mean that I had a solid race and that was my motivation. I also know that Dave is like Arnold in the Terminator…he just keeps coming at you. So even when I would put a small gap on him on the climbs, I knew that he was back there clawing his way back on the descents. Let’s just say that Dave inspired my final climb and I emptied the tank until the red dashboard light was flashing. The thing about the Cream Puff course is that even the downhills have some “ups” and the handful of rude, short climbs on the Alpine Trail really hurt the last time through. I was grunting, spitting, and snorting my way up these short climbs while passing riders who had decided to get off and push to prevent a total blow up…but I couldn’t afford to worry about a blow up because I knew the Terminator was still coming. The final descent seemed to never end. My hands were locking up from hard braking and my forearms were beyond pumped. I was trying to ride that fine line between “balls out” and “just don’t die”. A local single-speeder passed me on the final descent going faster than I thought humanly possible and I foolishly tried to stay with him for a bit before having a little talk with myself and reigning it in a bit. There is another level of descending speed out there that I simply don’t have yet. When I hit the final short section of gravel before the finish I looked behind me one more time to make sure Dave wasn’t on my wheel and could finally relax for the first time in over twelve hours. Scott Taylor, the Race Director, greeted me at the finish and presented me with a cool finisher’s cap and I thanked him for another incredible Cream Puff memory. It is a good thing I stayed on the gas because the Terminator rolled in about four minutes after I did. I leave Friday morning bright and early for the Cream Puff with three traveling mates and a truckload of bikes and gear. Although I don't know them as well as the crew I traveled to the Puff with last year, that doesn't mean they should be spared from the usual treatment does it? Let me start off by saying that the Puff is not Cache-to-Game, nor is it WYDAHO. So, to a certain someone (Dave S.) who beat me in both races this year, I would simply suggest that maybe you won because it was part of my meticulous planning and overall Cream Puff strategy to allow you to beat me in the "sprints" in order to lull you into a false sense of security before the BIG one. You will just have to mull that one over and wonder...especially when you are on the very last, sun exposed, merciless, never-ending gravel climb at the Puff. To another of my traveling mates who regularly beats me handily and is probably not converned about me threatening his overall position in the race (Troy), I will say that I am prepared to unleash my total and complete fury this Sunday. If I have to reach down and tear off a piece of my quad muscle (because they are huge right now and I have extra that I can spare) and throw it into your spokes to slow you down while I pass you on a climb, I will do it. Our remaining traveling mate, Hamilton, should have a very solid Cream Puff. You see, Hami sports the full beard and looks just like an Oregon logger. In fact, I would highly recommend that he add some flannel, and possibly a chain saw, to his race kit to complete the look. Riding the lift up, and then ripping the downhill trails at Grand Targhee is fun! I have to admit, I felt a little guilty about riding the lift up instead of earning the vertical by grinding up the mountain. But I quickly got over it. Ha! Michelle and I went up to the Ghee on Sunday to ride the buffed singletrack and after two laps and a little lunch break we decided to try out the new downhill trails. Andy Williams has done a great job up there building trails and the three new downhill trails add a whole new dimension to riding at Grand Targhee. The downhill trails are not just for 8" bikes and full-face helmets. I plan to ride Sidewinder on the xc bike a lot more to work on my skillz this summer. I have to admit that I am dying to try a "real" downhill bike and increase the speed limit a bit. Lifts run Thursday through Sunday from 10AM to 6PM. My last tune-up prior to the Cream Puff was the annual WYDAHO XC Race at the Ghee on the 4th of July. Honestly, I can't imagine missing this race as it is one of best races of the year...great course, great vibe, great support, and always a good field. Getting some additional racing under my belt and a bit more practice at race speed was the goal and I had a solid race. I think I squeaked into the top ten in the Expert field and improved my PR in this race by a fair bit. I raced the Niner Air9 on Saturday and this race confirmed that I will race the hardtail at the Puff. This week will be about minimizing "life stress" and getting some good sleep which hasn't been a given over the past week. 7/6/09 EDIT: Just saw the official results and I did NOT squeak into the top ten. Doh! Now that summer has finally decided to join us, we have a new option for date night...riding the tandem to our favorite local restaurant. Scratch has become our favorite local eatery. Jerk-Pork Gyro with sweet potatoe fries. Yum!